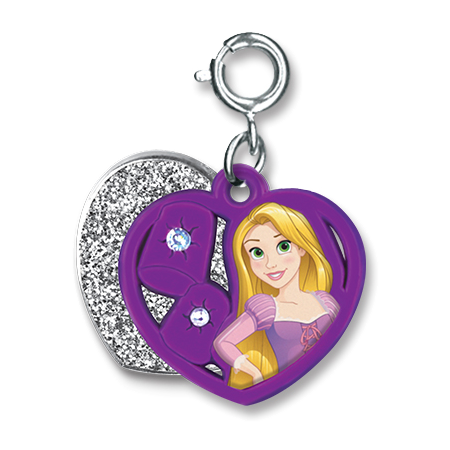 Finding the floating lights was at the top of Rapunzel's to do list and you can celebrate her achievement with this beautiful Rapunzel Swivel Heart charm by CHARM IT! 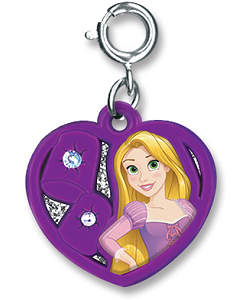 With a glittery silver heart showing through the die-cut purple heart, this fun two-piece Tangled charm features Disney's Rapunzel and sparkly stones in the middle of the die-cut lanterns. 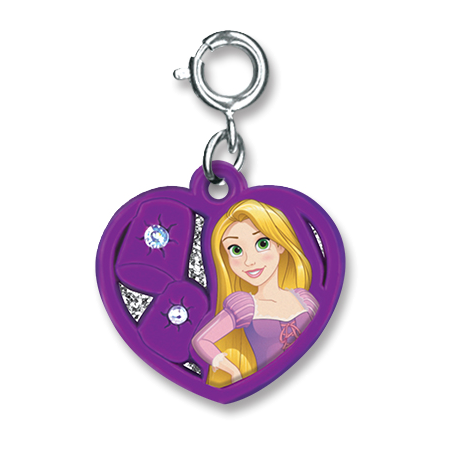 This amazing multi-dimensional charm is sure to delight Rapunzel and Disney fans of all ages.